Stourbridge Doom Metal band formed in 1979 by vocalist Zeeb Parkes, guitarist Phil Cope and drummer Steve Kinsell (credited as 'Kid Rimple'). 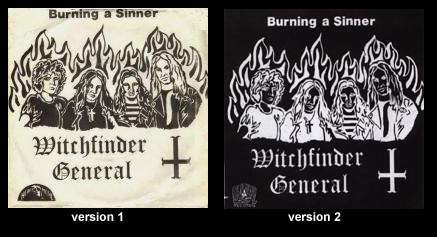 Witchfinder General actually achieved very little during the band's lifetime, with two albums being given a generally poor media reception and live work infrequent. However, the latter day interest in the NWOBHM movement and then the resurgence of Doom Metal has placed a renewed focus on the band. Cope, Kinsell and bassist Rod Hawkes had all been colleagues school band Electrode, with Zeeb Parkes acting as roadie. In the wake of this band Kinsell forged Medway, prior to reuniting with Parkes and Cope with Johnny Fisher on bass to forge Witchfinder General, their inaugural live performance taking place at The Crown public house in Dudley. Fisher would soon be superseded by Kevin "Toss" McReady, who in turn was replaced by Woolfy Trope. 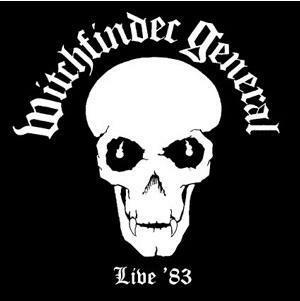 During December of 1980 Witchfinder General announced they were to record a single, 'Invisible Hate', for release on the WFG label, but this transpired. 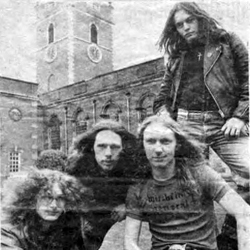 Instead, the band signed to Heavy Metal Records in 1981 and released the poorly produced 'Burning A Sinner' 7" single. The group split with their rhythm section whilst in the studio and quickly added bassist Rod Hawks (a.k.a. 'Hawk Eye') and drummer Graham Ditchfield. 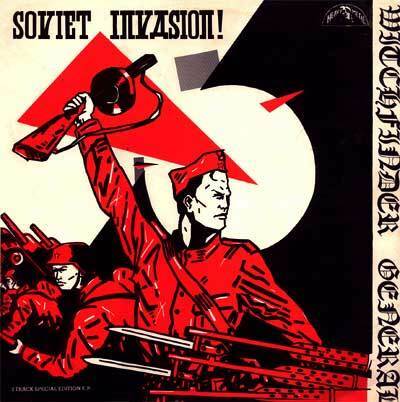 A 12" EP, 'Soviet Invasion', followed. The 1982 debut album 'Death Penalty', produced by Pete Hinton, attracted publicity as the sleeve featured Page Three model Joanne Latham being ritually 'executed' on a Wednesbury cemetery gravestone. The second album, 1983's 'Friends Of Hell' saw the group split with their former rhythm section whilst in the studio and quickly adding bassist Rod Hawks (a.k.a. 'Hawk Eye') and drummer Graham Ditchfield (a.k.a. 'Derm The Germ'). Once again the sleeve rather too predictably followed up on this theme. The group fractured, with Graham Ditchfield subsequently forming a reggae band, Chico in Cognito. A later Witchfinder General member bassist Zakk Bajjon created Bajjon, later joined Lionsheart and would produce Cradle of Filth. Bajjon had only rehearsed with the band, never recording or appearing live. 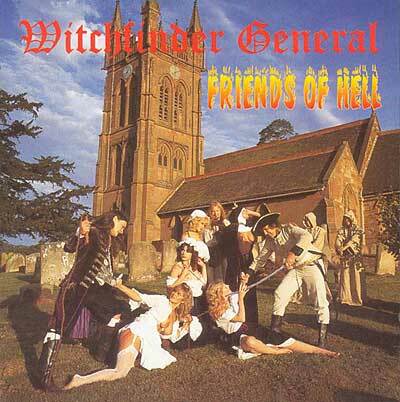 Witchfinder General officially ceased to be in November 1984. 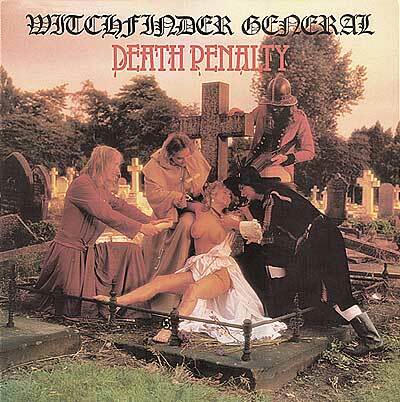 In later years Witchfinder General enjoyed posthumous respect from numerous death metal and doom bands. 1990 found Japanese label Teichiku Records re-issuing 'Death Penalty', although clad in an inoffensive plain gold sleeve. That same year Metallica drummer Lars Ulrich included the track 'Witchfinder General' on his NWOBHM collection through Phonogram, 'New Wave of British Heavy Metal '79 Revisited'. 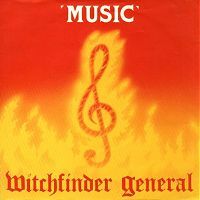 With the swell of interest in NWOBHM across Europe it looked as though the Witchfinder General albums would unfortunately be never re-issued as Heavy Metal Records label boss Paul Birch is now a born again Christian and objects to the band's lyrical stance. However, after much pressure 'Death Penalty' finally saw a 1996 CD release. By 2000 Bajjon was a member of Rainmaker 888. A rather oblique tribute was paid to the band when infamous Japanese Grindcore band Bathtub Shitter's 2003 opus 'Lifetime Shitlist' found the band tackling 'No Stayer'. Coventry Doomsters Cathedral would cover Witchfinder General's 'Rabies' on their 2004 archive collection 'The Serpent’s Gold'. US label Nuclear War Now! dug up archive concert recordings to issue as the 'Live '83' album in 2006.